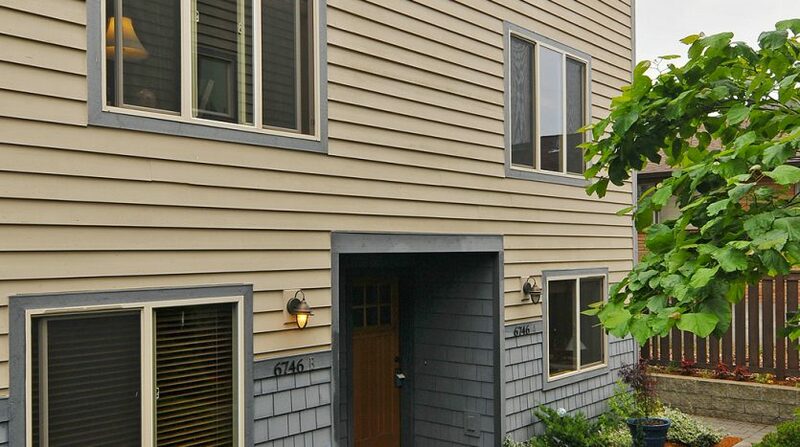 To live in Ballard is to be close to so many of the amenities that make Seattle such a fabulous place to live. 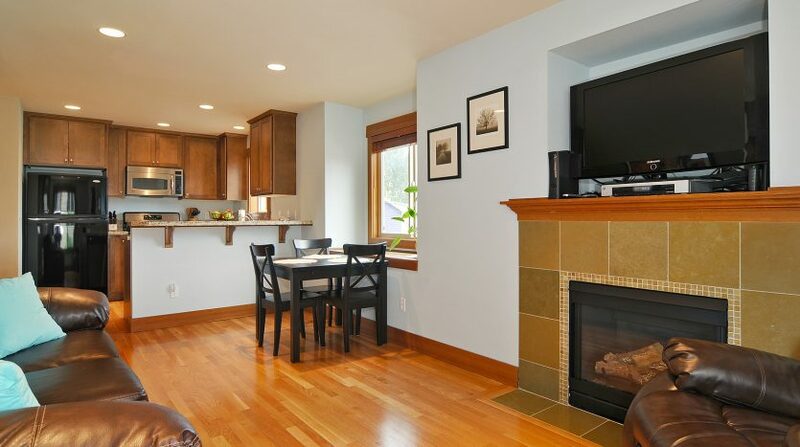 With Golden Gardens beach, the shops, restaurants, cafes and services of Ballard Ave and Market Street, the pockets of neighborhood spots like on 32nd and 70th, the Locks and Botanical Gardens, and events like the year round farmer’s market and Ballard Seafood fest, you have everything you need right at the tip of your fingers. 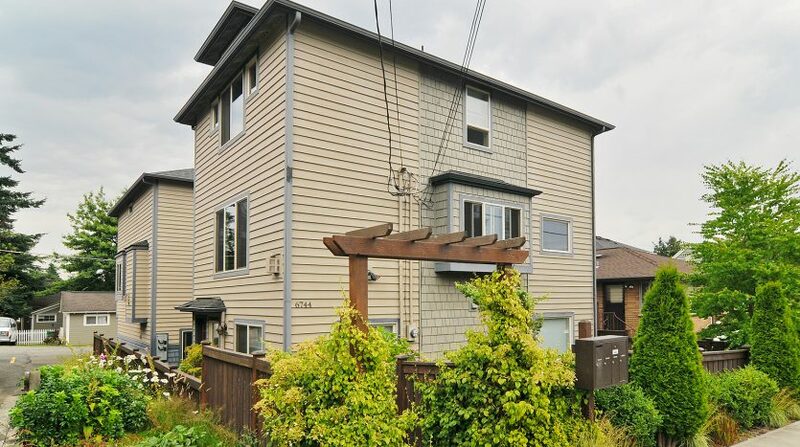 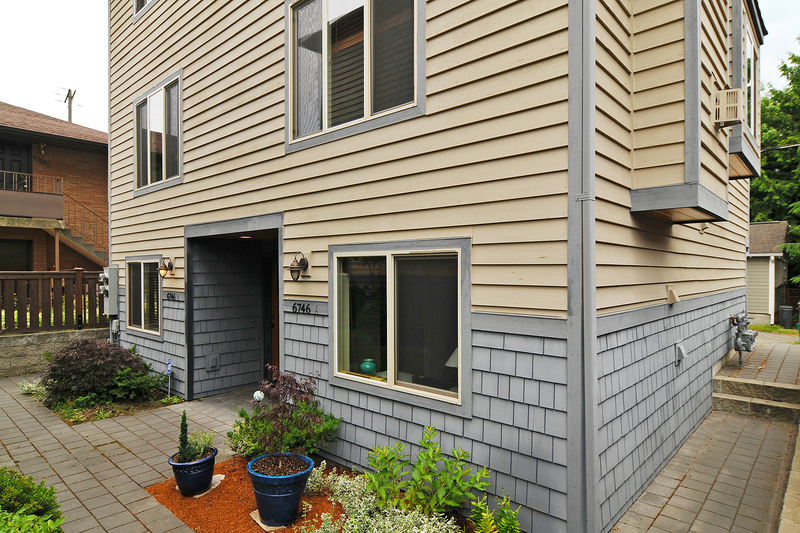 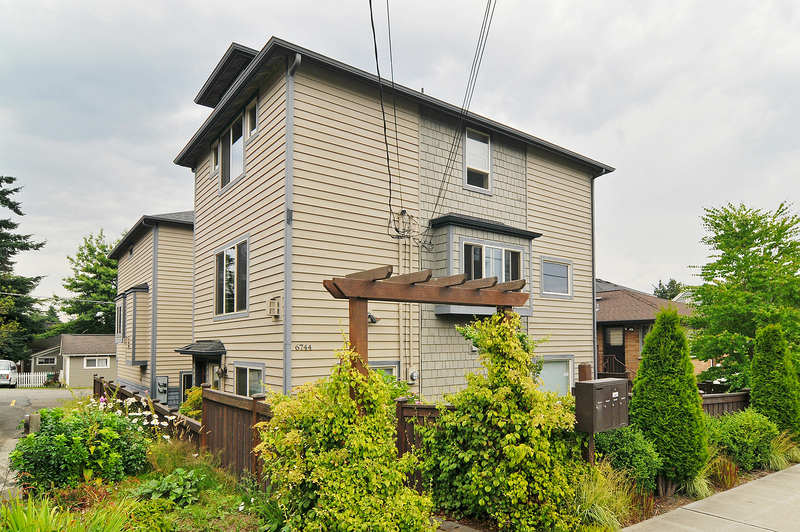 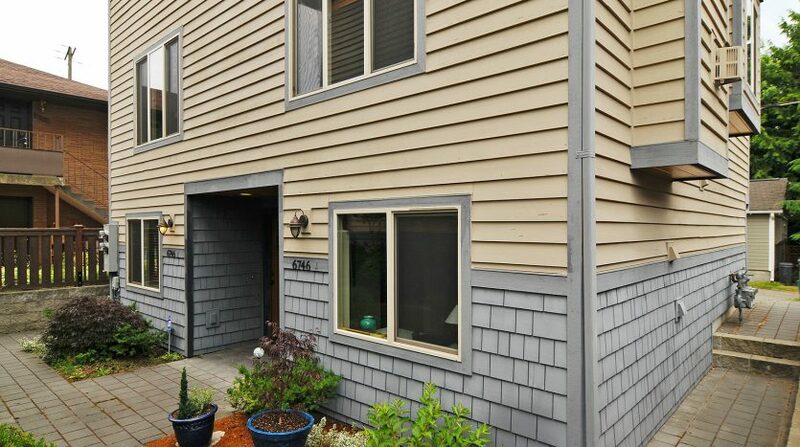 This townhome is located only a block from the popular Delancey restaurant, nestled in a wonderful charming neighborhood within Ballard. 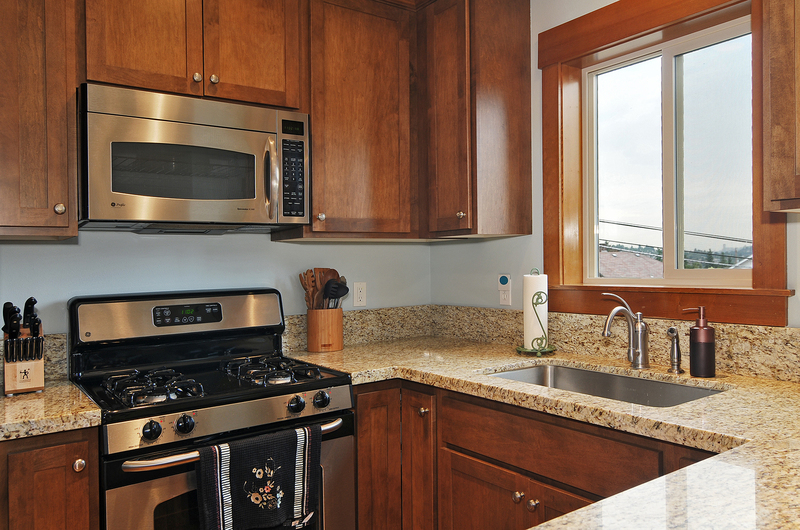 With Southern exposure, this home is flooded with natural light. 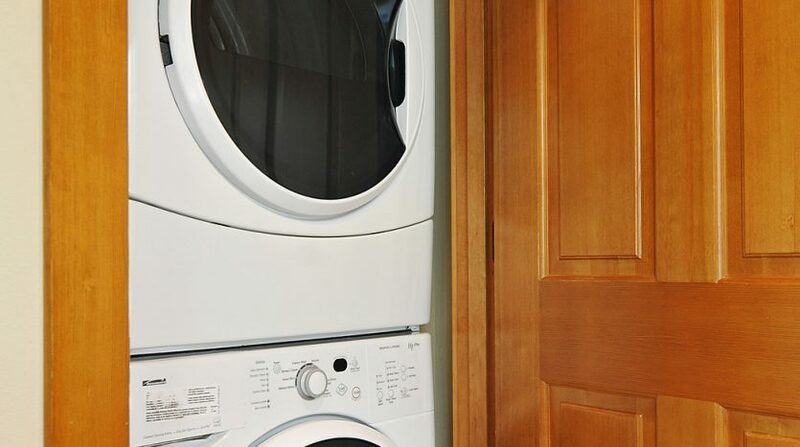 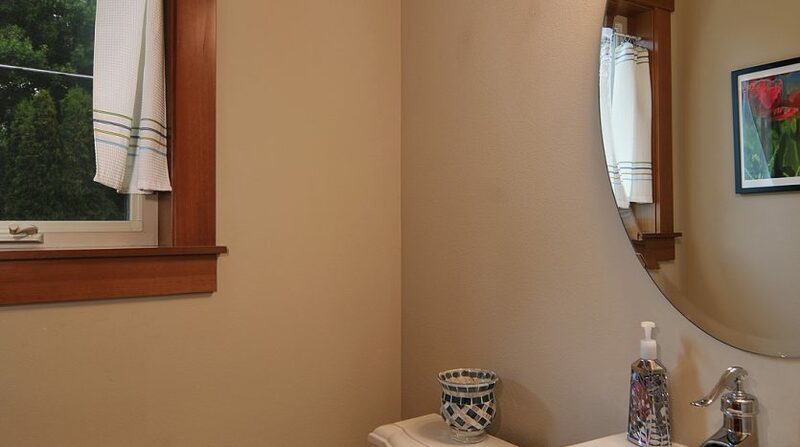 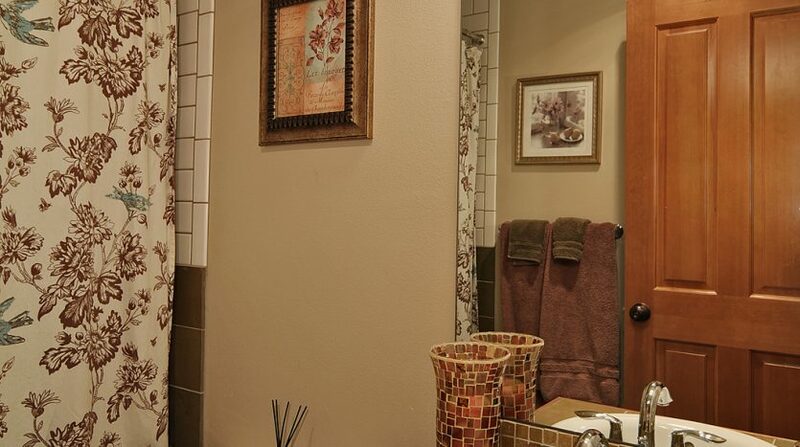 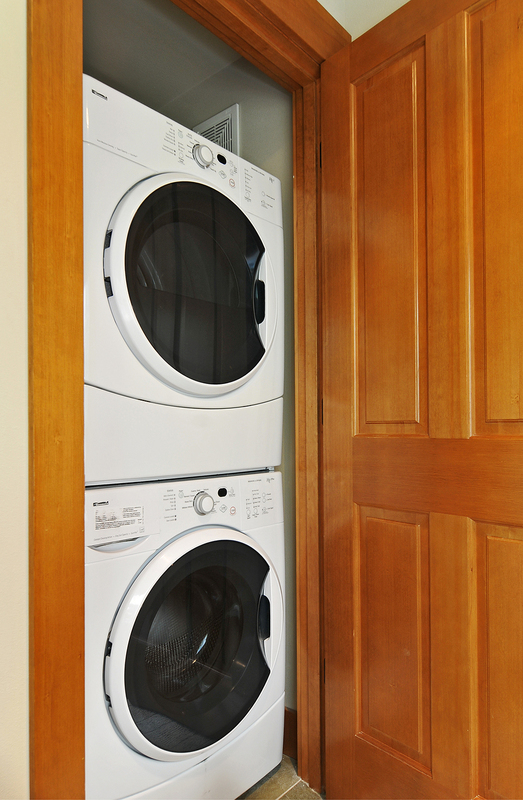 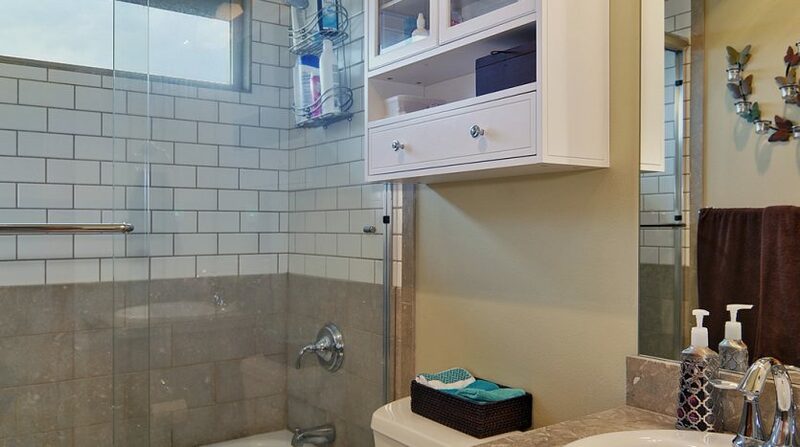 The main level will welcome you into a foyer with tile flooring and a convenient coat closet. 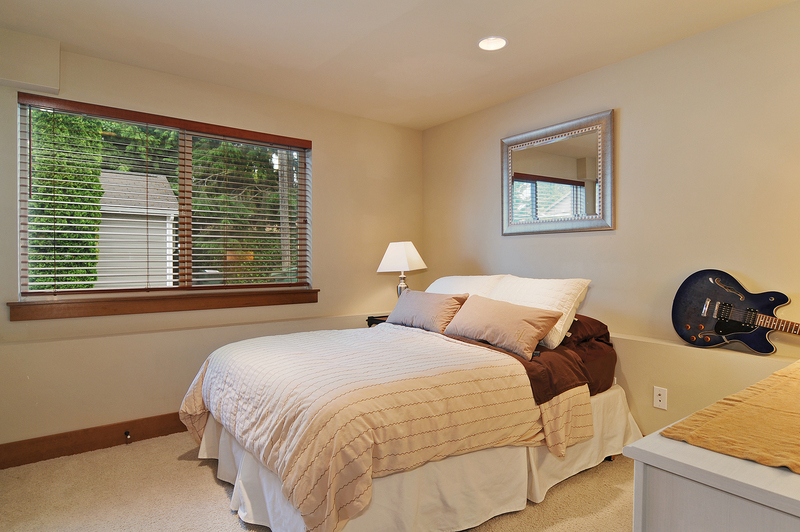 A nice sized bedroom and full bathroom adorn this level as well as a den space and your utility room with a full sized washer and dryer. 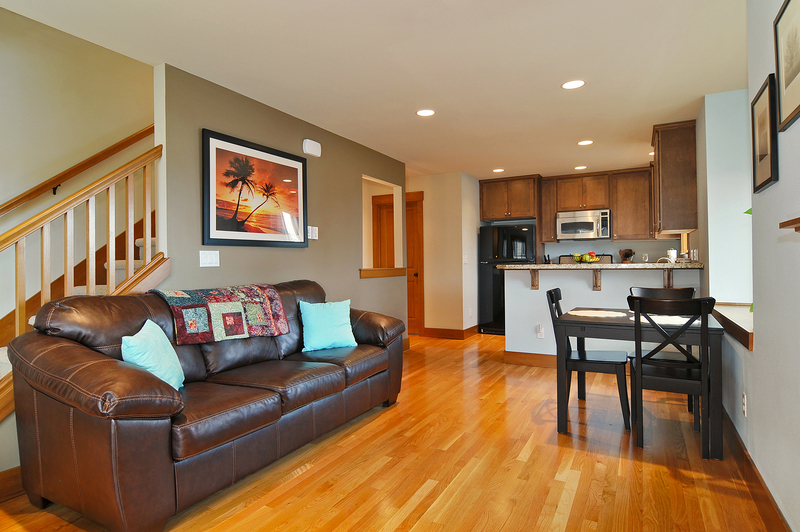 The wood clad stairs lead you up to the main entertaining level. 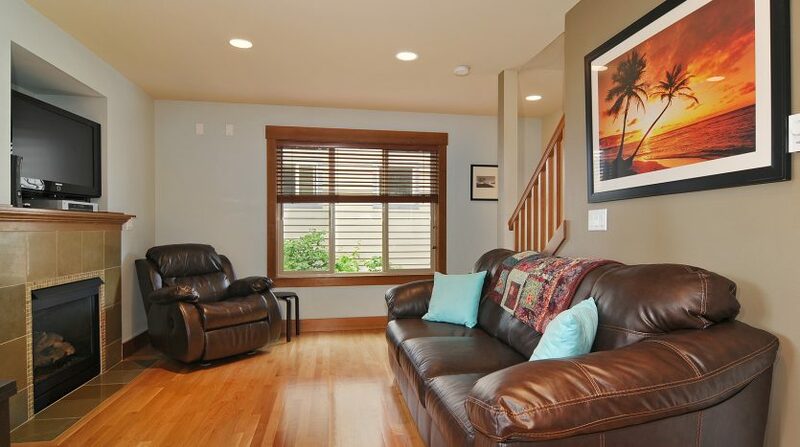 Wood floors throughout this level warm up the space as do the designer paint colors. 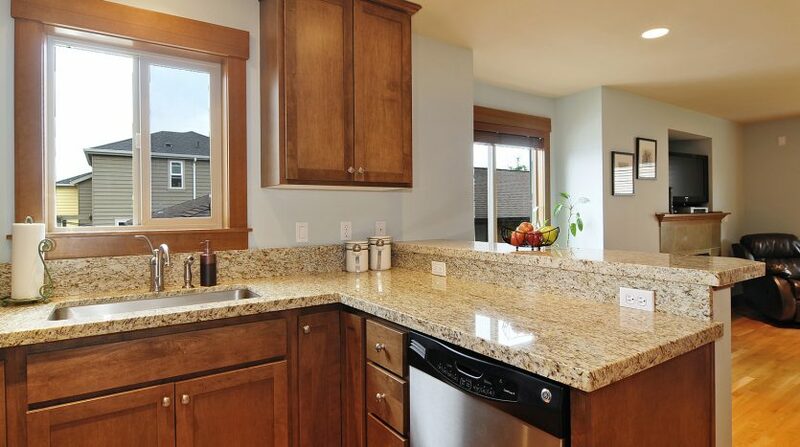 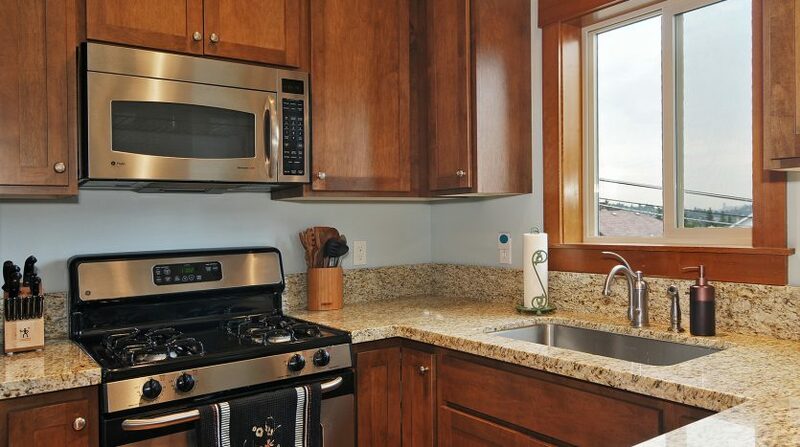 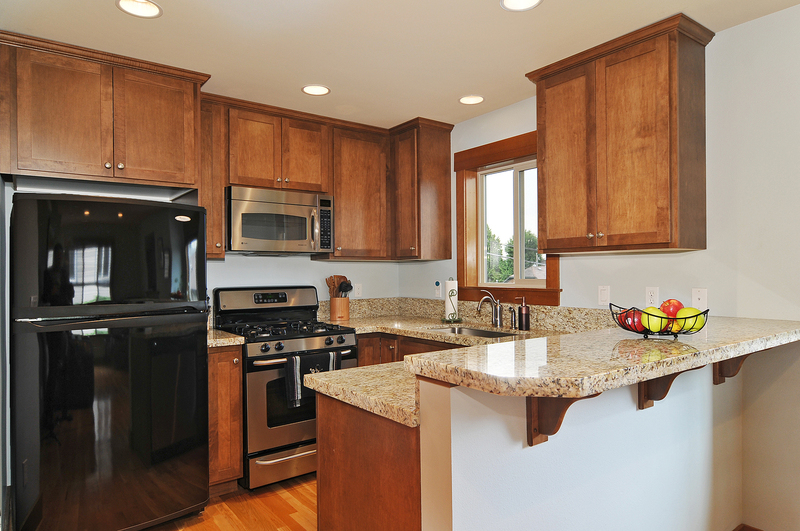 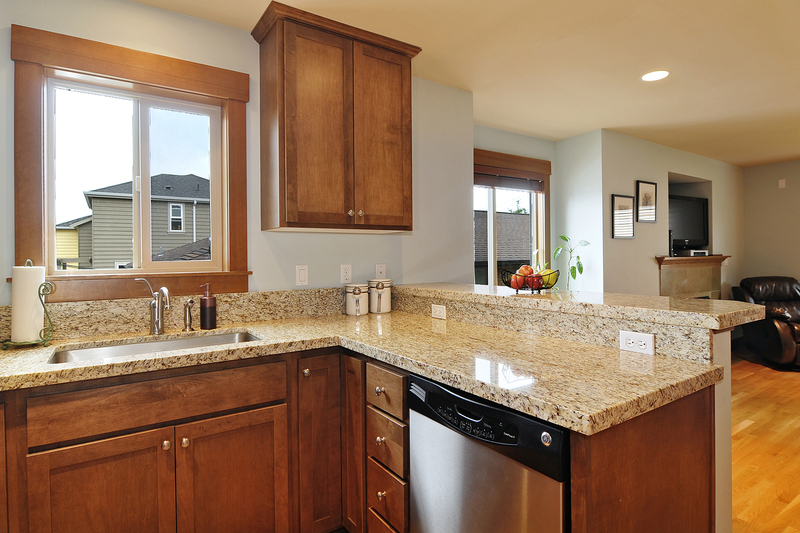 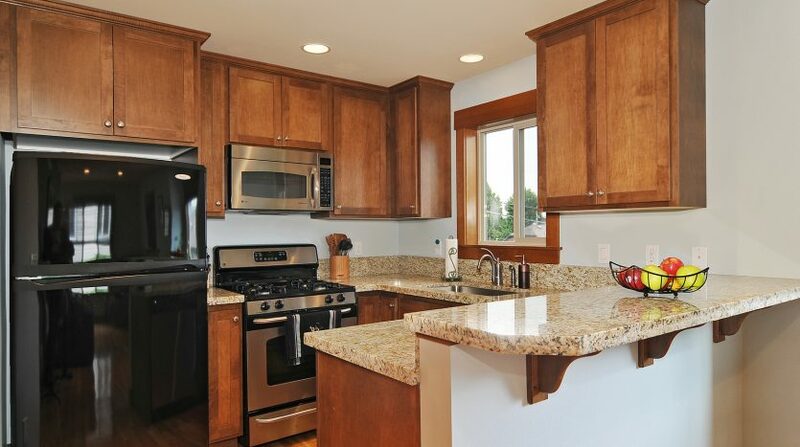 The kitchen is wonderfully modern with slab granite, wood cabinets and gas cooking. 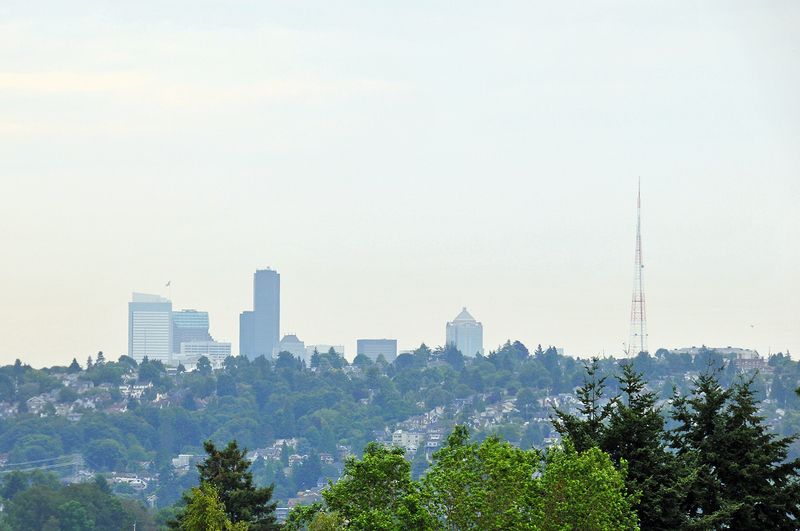 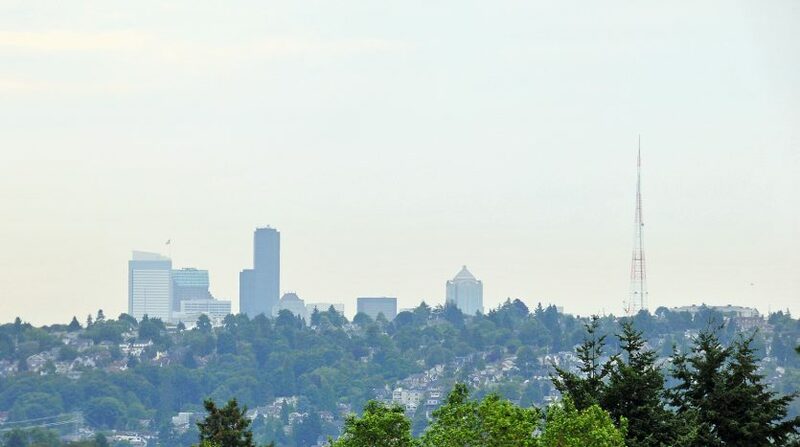 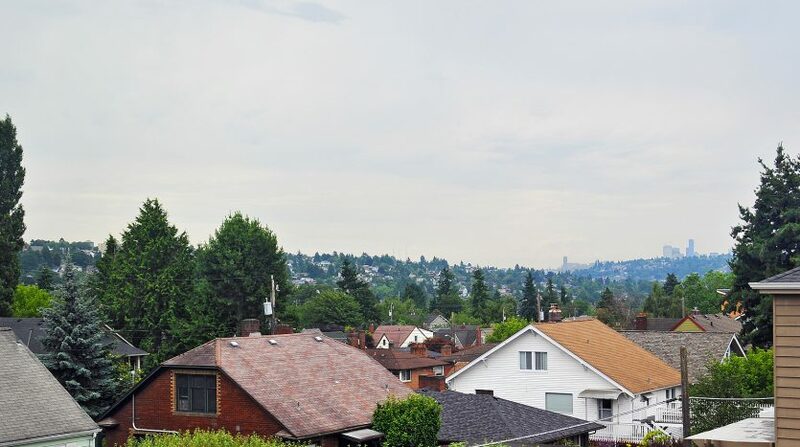 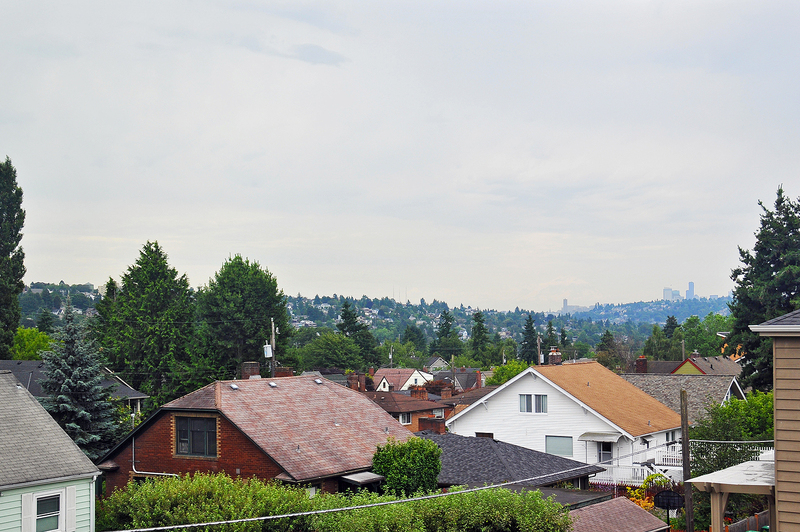 You also have the added bonus of a big view of Mount Rainier and the tops of the city’s buildings from your kitchen window. 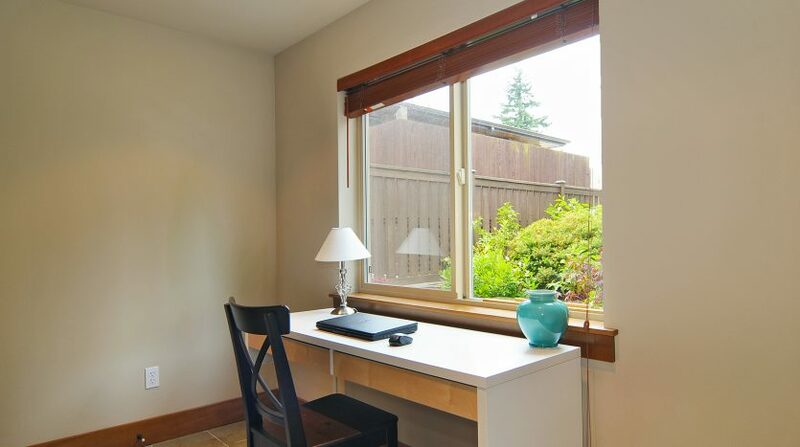 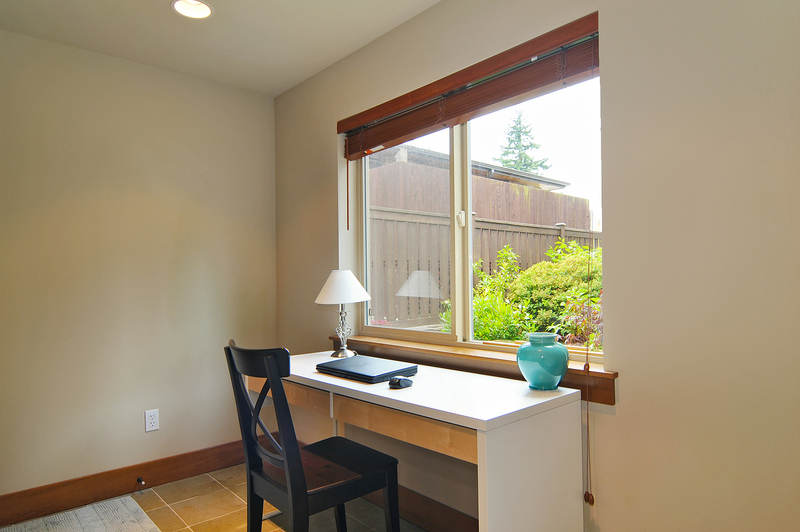 The natural millwork around the windows and the 2-inch wood blinds add to the upgraded touches in this townhome. 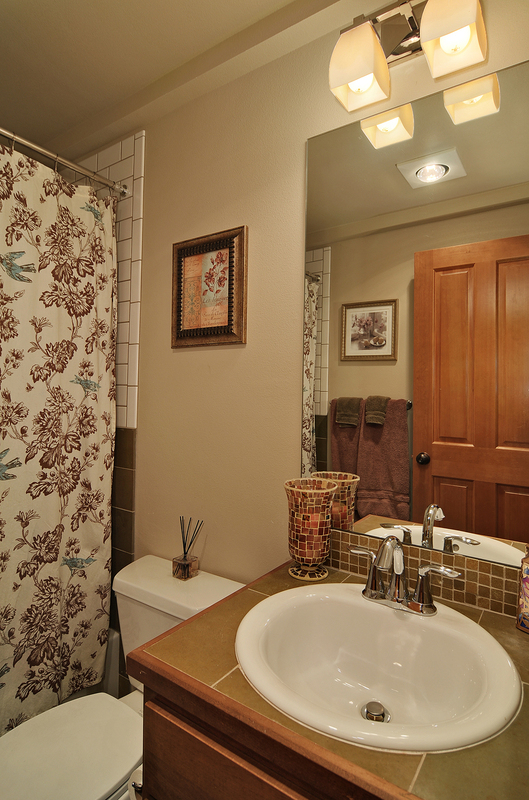 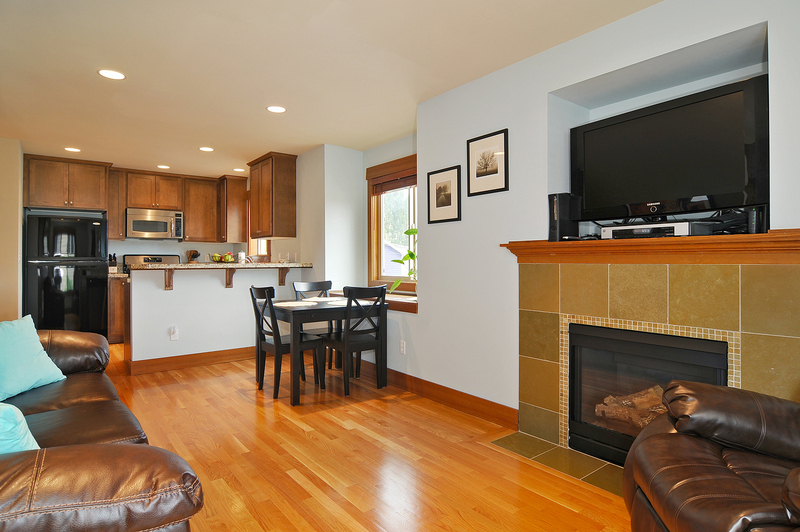 The living and dining space are open and warmed by a gas fireplace and there is a convenient powder room here as well. 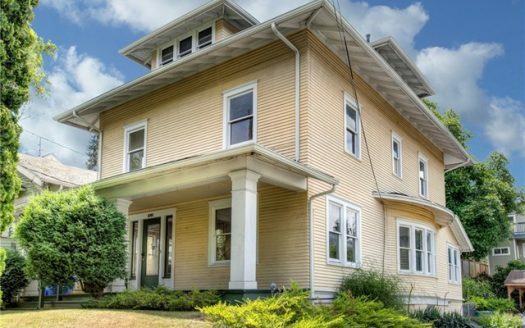 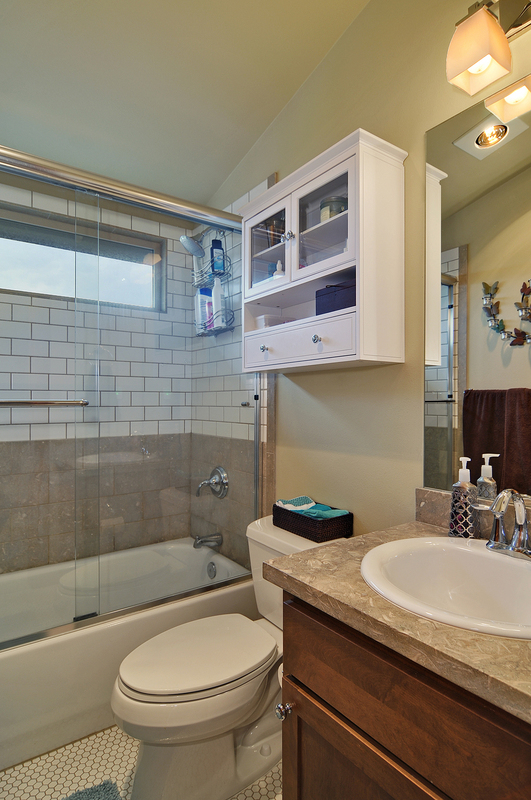 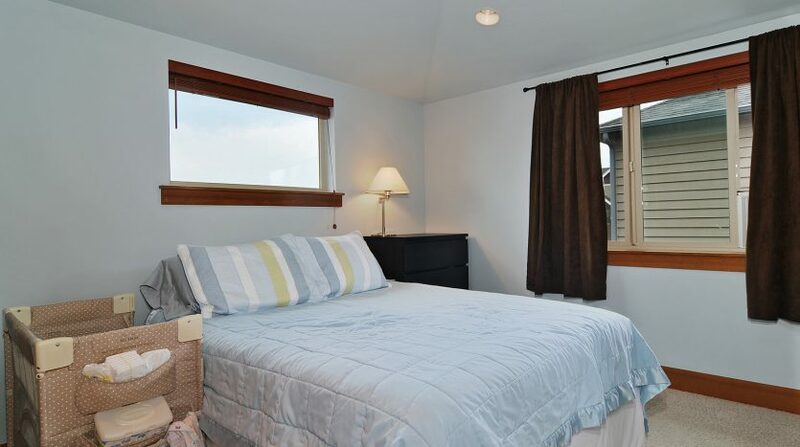 The upper level of this home features two good sized bedrooms and a full bathroom. 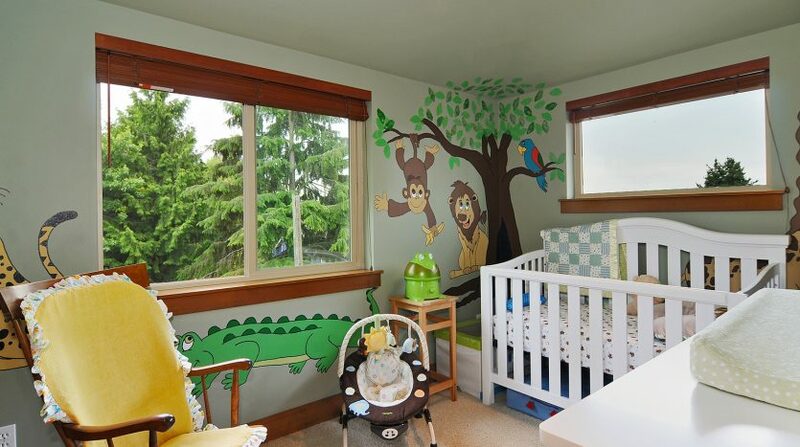 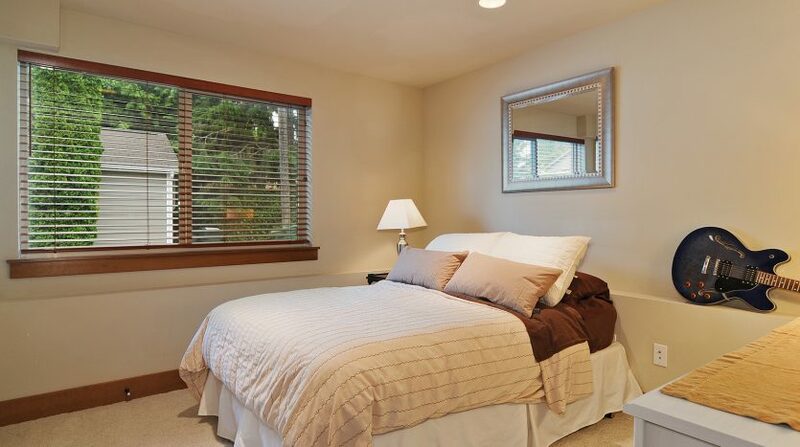 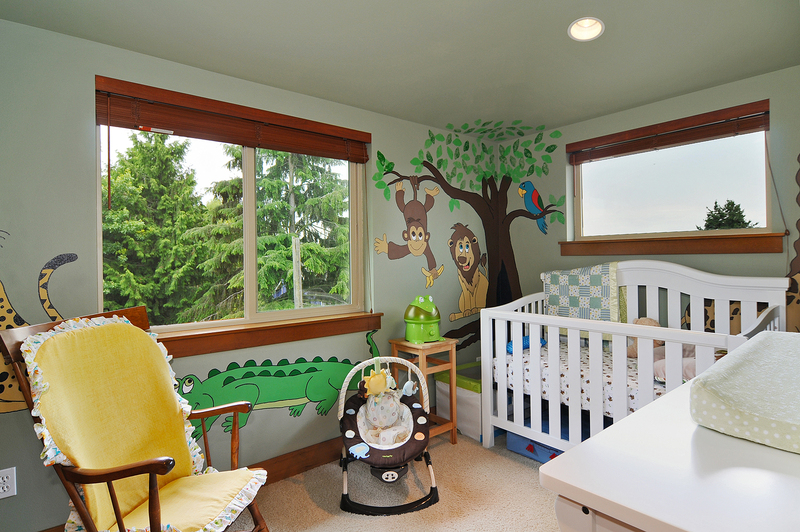 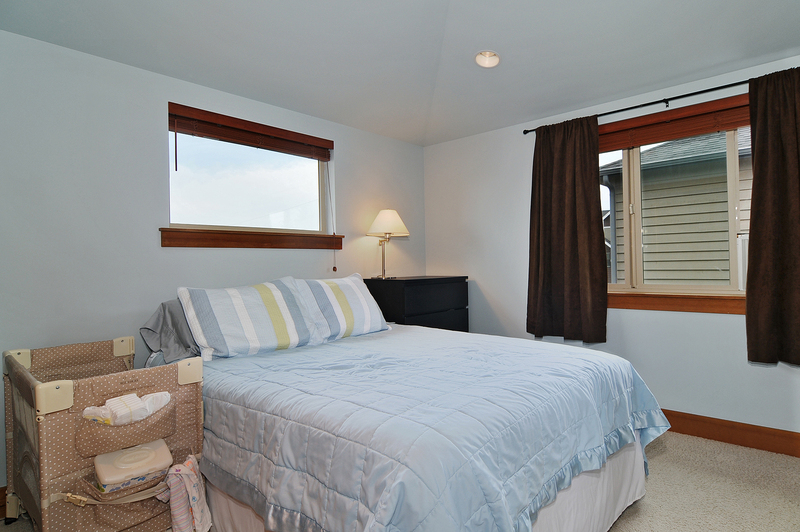 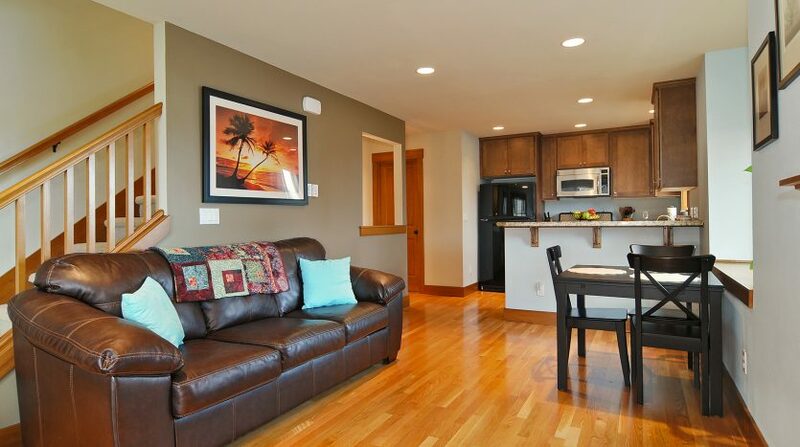 The beautiful Mount Rainier view is also visible from both of the bedrooms on this level. 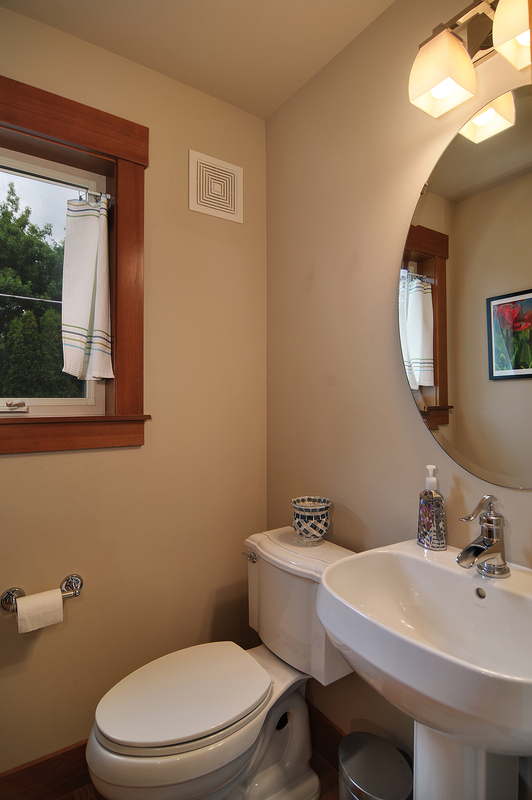 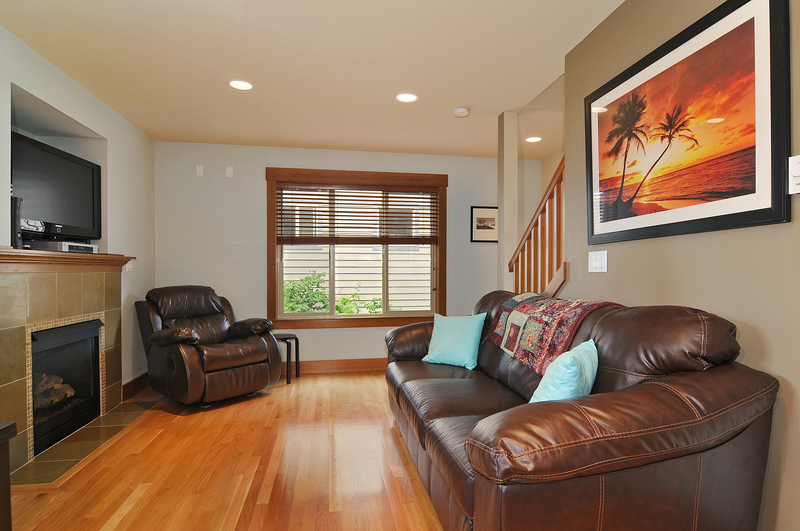 The whole home is heated by efficient hydronic heating. 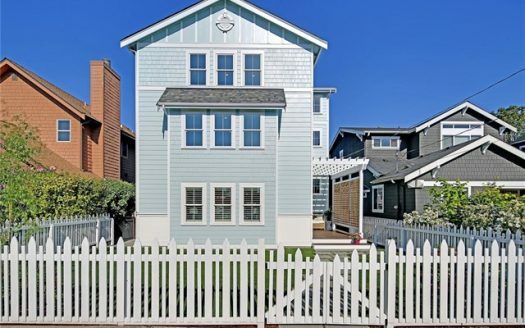 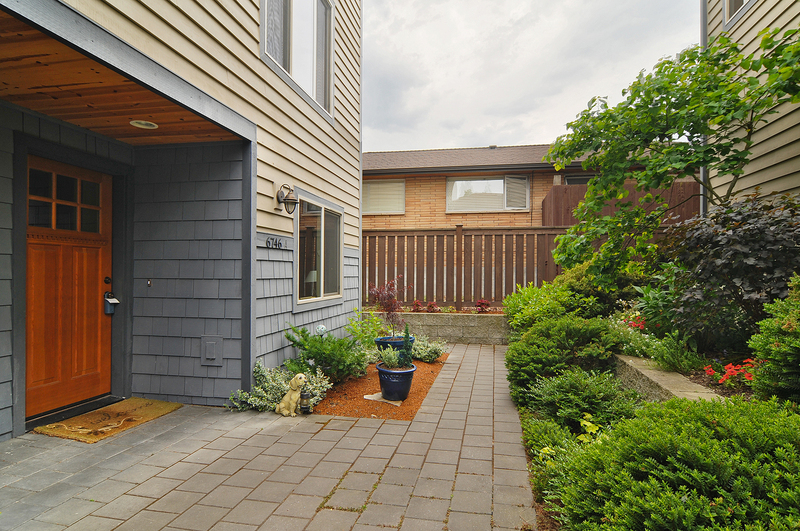 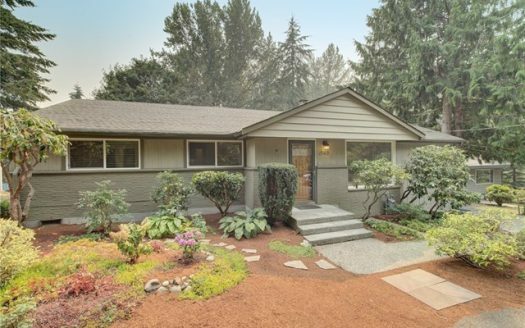 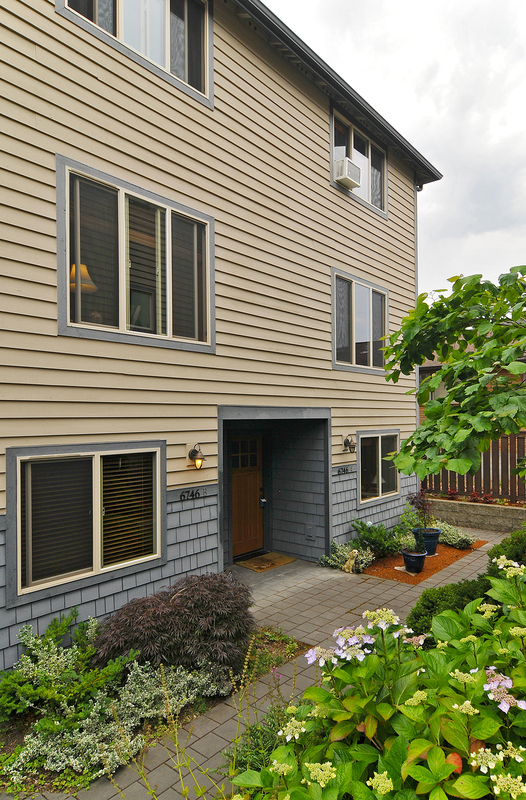 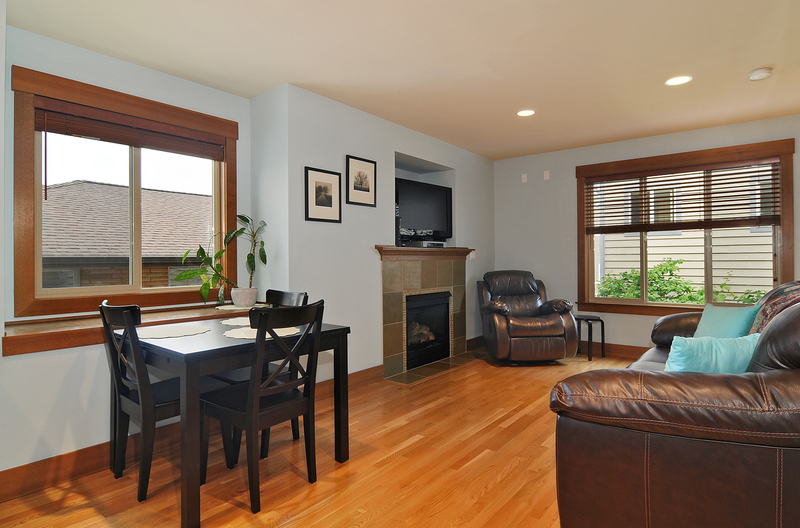 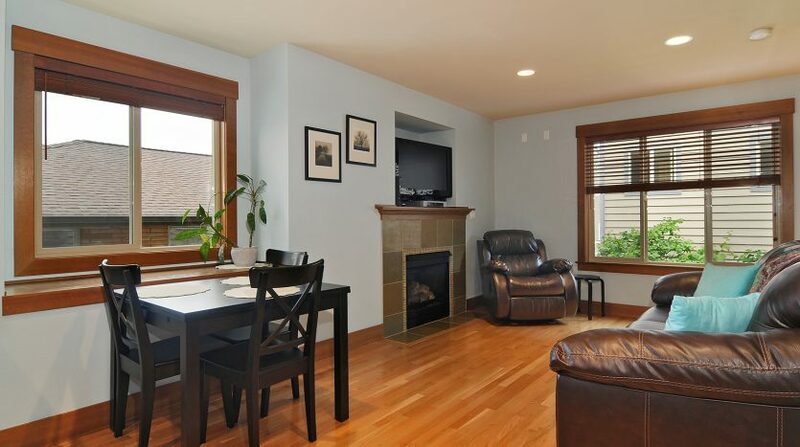 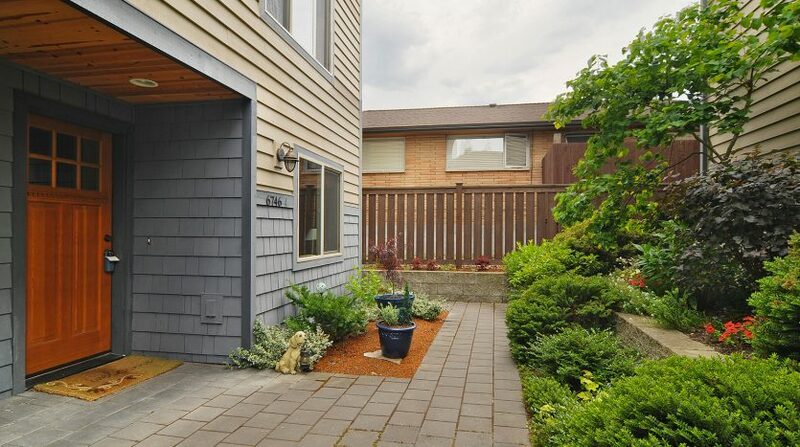 The parking space rounds out the amenities of this classic Ballard townhome.